This year’s UP Week blog tour kicks off with ten posts on the topic of collaboration, and we’re thrilled to add this piece by Executive Editor Naomi Schneider to the conversation. 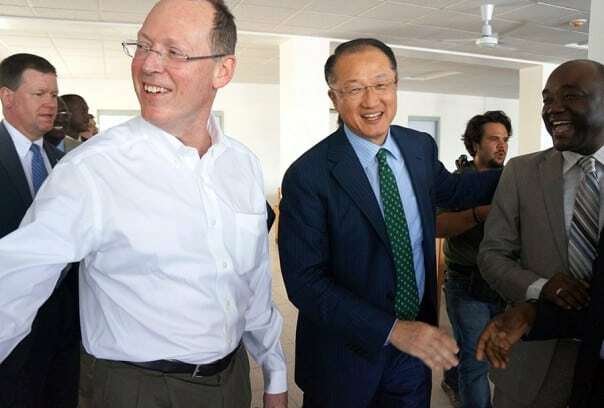 Dr. Paul Farmer and Dr. Jim Yong Kim, internationally renowned public health doctors, have been collaborating for decades. 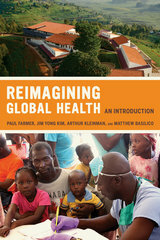 As medical students at Harvard, Farmer and Kim (and Ophelia Dahl) co-founded an NGO, Partners In Health (PIH), in 1987 to offer a radical new public health vision: to provide medical care that offers a “preferential option” for the poor. Originally, Farmer and Kim aimed to deliver health care in Haiti where PIH has built, over the years, a modern hospital and a recently opened new teaching facility on the impoverished central plateau. In the aftermath of the 2011 earthquake, PIH raised $125 million for medical care and reconstruction in Haiti. Both recipients of MacArthur “genius” grants, Farmer and Kim have remained focused on PIH, now expanded to projects in 12 countries. In Rwanda, for example, PIH has helped to rebuild the public health system destroyed during the 1994 genocide with programs serving 800,000 people in three hospitals and 41 health centers. Naomi Schneider is an Executive Editor at UC Press. Stay up-to-date with all of this week’s events by following #upweek on Twitter!